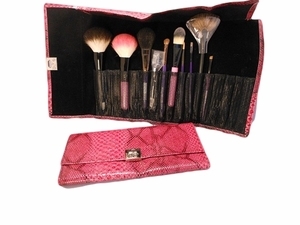 This pink faux crocodile brush case protects your brushes in style! Convenient front clasp and inner protection flap. Holds up to 15 brushes! Case comes empty. We have discount specials if you order four brushes or more of any type!